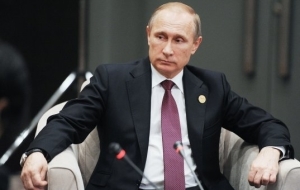 President Vladimir Putin gave the government the task to optimize the prices of essential medicines, to the list of orders of the head of state, a copy of which is available . The Ministry of economic development, which oversees public procurement, confirmed the authenticity of the document, noting that the executor it is assigned to the Ministry of health. According to the results of fulfilling the assignments of vital and essential drugs (VED) should be cheaper because you will limit the profitability of manufacturers, the procedure of formation of the prices for medicines will be more transparent, and all contractors and pharmaceutical companies, which in the course of tenders inflated prices on drugs, check with law enforcement agencies. In the VED list includes such popular drugs as acetylsalicylic acid (aspirin), ibuprofen (“Nurofen”), paracetamol, drotaverine (“no-Spa”), as well as expensive medicines for treatment of HIV, cancer and genetic diseases. Medications of the essential drugs do not only in pharmacies but also bought by the state for special categories of the population. The prices of medicines registers the FAS. In the list for 2016 — about 23,5 thousand brands of medicines. According to analytical company DSM Group, the sales of drugs from the essential drugs list in 2015 amounted to half of the total pharmaceutical market — 532 billion roubles from 1,064 trillion rubles. The list of assignments of the President of four points. The first is to develop and approve a document establishing rules for economic analysis in the registration of ED prices. Including the head of state requires to register the maximum profit that can be paid to the manufacturer. The deadline is 20 March 2017. The profitability of these drugs is limited now, but this only applies to Russian manufacturers and companies from the Eurasian economic Union (Kazakhstan, Belarus, Armenia and Kirgizia), said projects Manager of pharmaceutical company VEGAS LEX Maria Borzova. Currently, the limitation is 30% of the profits, specified in the methodology of calculating the prices of medicines. Foreign manufacturers register value on the basis of the prices for this medication in other countries, she said. This item is aimed at removal of discrimination of Russian producers in comparison with foreign ones, suggested the Director of the Russian pharmaceutical company BIOCAD Dmitry Morozov. But to calculate the cost of production, for example, in Switzerland, it is impossible, he said, and therefore, Russian producers will once again be at a disadvantage. The idea of limitations deprives the profitability of any company, both domestic and foreign resources for the development of new drugs. The implementation of this order will lead to the reluctance of pharmaceutical companies to invest in research and development of medicines in Russia, agreed to the General Director of the analytical company DSM Group Sergey shuljak. “In recent years, Russia has been trying to encourage pharmaceutical companies to open research labs in the country. But if you start to restrict pharmaceutical companies in their development costs for the construction of new research centers, they will simply stop investing in Russia,” he explains. Thus to adequately assess how much a company spent to develop new drugs is almost impossible, emphasizes Shulyak. In the second paragraph, requires the President to re-register all prices for essential drugs under the new methodology. Reports for this assignment must be submitted to the presidential administration by August 1 and December 20, 2017. The execution of the instructions of the President will not necessarily lead to lower prices, suggested Borzov: now the prices of essential drugs regulates not only the state but also the market. The third paragraph of instructions for the practice of public procurement of medicines. After the establishment of new prices Putin calls compare them to the prices at which the same drugs the state previously purchased. All materials on the auctions in which the cost of medicines will be above newly installed will be reported to law enforcement agencies. Deadline: 1 February 2018. The government is trying to give the law to reverse, noticed Shulyak. If the order of the President will be fulfilled, the offender may be a bona fide company who registered its prices in full compliance with the current rules, he said. In the last, fourth paragraph, Putin instructed Medvedev to consider the possibility of dividing the auctions on purchase of medicines directly and services for transportation, and the need to conclude the procurement of long-term contracts at the new prices on INFPL to open their production in Russia. 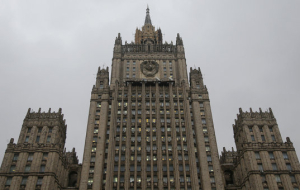 At the time of publication of the text of the press Secretary of the President Dmitry Peskov, the press Secretary of Prime Minister Natalia Timakova did not answer the queries . 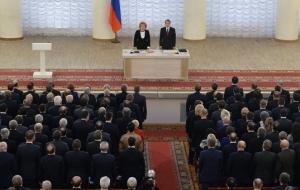 Didn’t provide comments and representatives of the relevant Vice-premiers Arkady Dvorkovich (responsible for the development of industry) and Olga Golodets (the social block). The questions document was also sent to the Federal Antimonopoly service, the Ministry of health and Ministry of industry. 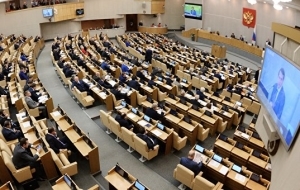 Proposals for the separation of auctions for the purchase of direct goods and services delivery and to improve the procedure of registration of ED prices presented in the draft roadmap, the FAS on competition development in health care. In addition, the service has analyzed the prices of expensive drugs for cancer and genetic diseases, HIV, hepatitis and tuberculosis. According to the results of the FAS prices were reduced by 88 positions ED. 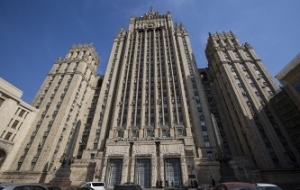 The President’s Directive coincided with the conflict between the Department of healthcare of Moscow, the former leadership of the municipal Oncology hospital № 62. 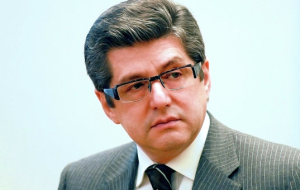 Ex-chief physician Anatoly Makhson accused Depsta in wasteful expenditure of funds for the procurement of supplies and wrote the relevant statements to the FSB, the Prosecutor General’s office and the Investigative Committee.